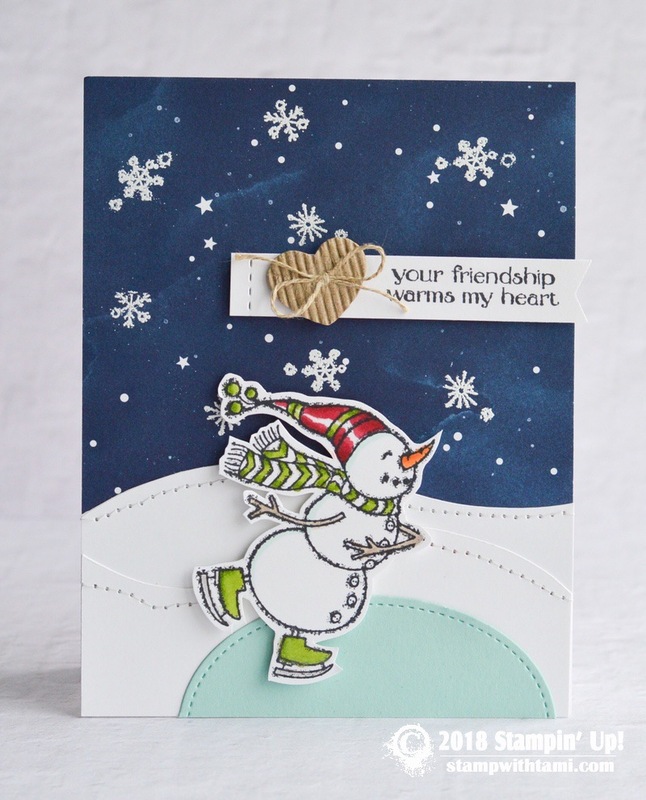 Your Friendship Warms My Heart card from the super stinkin’ cute Stampin Up Spirited Snowman Stamp Set. Love this snowman ice skating over a pond made from the Stitched Shapes oval dies. The background is the Twinkle Twinkle Designer Paper. The heart comes from the Corrugated Elements. The snowman is colored with Stampin Write Markers. Cute! Love the adorable snowman!